The Villas at Sedgefield, an Epcon community, is a low-maintenance single-story townhome community in Greensboro, North Carolina. Nestled in beautiful surroundings, Villas at Sedgefield is located next door to the PGA Wyndham Championship at the Sedgefield Country Club. In addition, the community is close to almost everything you desire, including shopping, restaurants, medical facilities, recreation, and more! 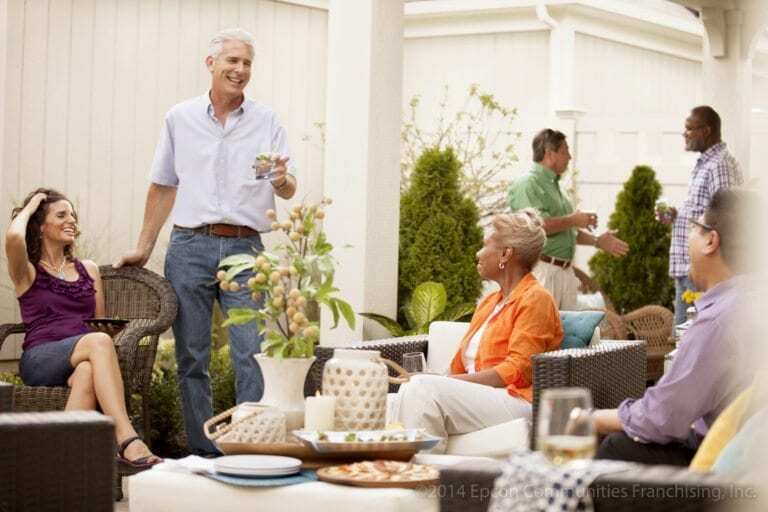 The luxury ranch-style homes at Villas at Sedgefield are attractively priced and offer two or three bedrooms, spacious living areas, attached 2 car garages, an abundance of storage, the possibility of private patios and four-season verandas. You’ll appreciate the rich exterior elevations and full exterior maintenance services providing you a new carefree lifestyle. Homeowners also enjoy the benefit of a private clubhouse with exercise room, outdoor swimming pool, and a large community room that is perfect for entertaining. Great locations are still available, but are going fast. Please call today to schedule an appointment to view our beautiful model homes. 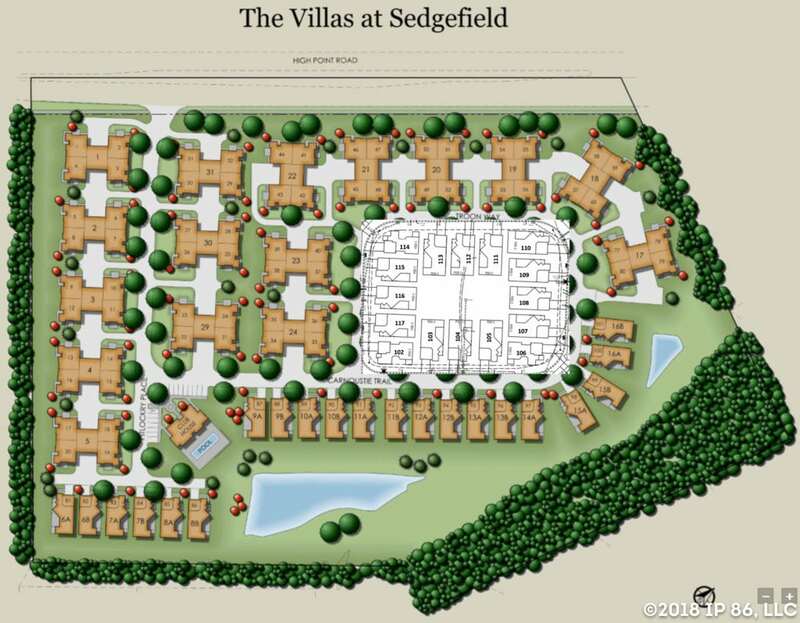 Villas at Sedgefield – where life begins!